Apple wants to peek behind the Android curtain, requesting Google hand over documents related to the OS's source code. In Apple's never ending battle with Samsung, the company asked U.S. Magistrate Judge Paul S. Grewal to force the search giant to hand over the info, which Apple claims Google is withholding improperly. Apple argues that because Samsung uses Android, Google's OS by extension contains much of the accused functionality in the case. The iPhone maker's request is part of its second patent-infringement lawsuit against Samsung. An Apple lawyer claims Google is not performing a full search of Android regarding the case, while Google argues that its third-party status in the case means it doesn't have the same legal rights as Apple and Samsung. In addition, Google said that by providing Apple with Android documents, it would essentially be giving its competition a glimpse at future features, which Apple isn't entitled to. The second suit was filed last year by Apple, and covers newer devices such as the Galaxy S III. 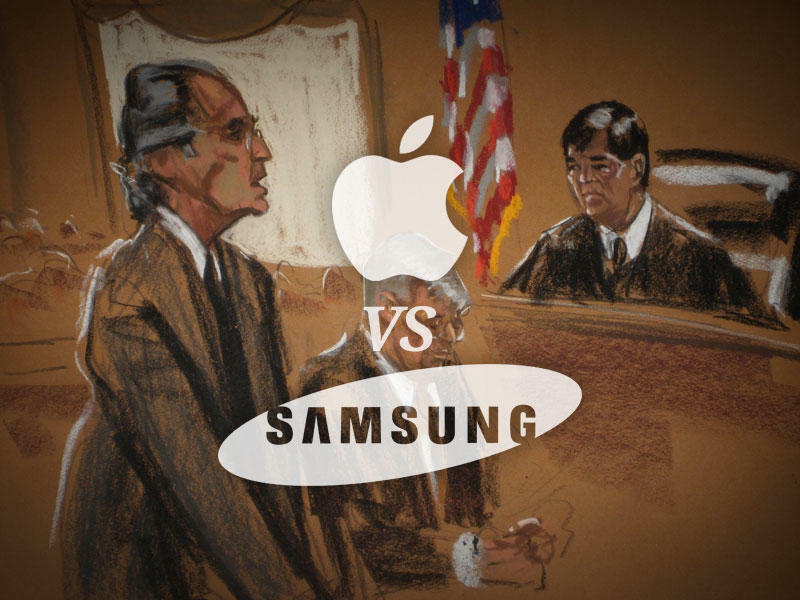 A definitive ruling hasn't been given in the first suit between Apple and Samsung, in which a jury first awarded Apple $1.05 billion. That amount was later lowered to $639.4 million, and a new trial has been set for November.